The Acura TL is a mid-size luxury car from Honda’s Acura brand.The TL is Acura’s best-selling model, and it has ranked as the second best-selling luxury sedan in the United States behind the BMW 3 Series. 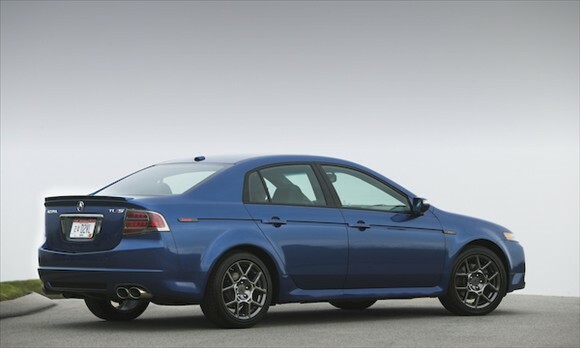 The 2009 Acura TL moves further upmarket with a more aggressive interpretation of Acura’s latest styling vocabulary, known as “Keen Edge Dynamic.” Featured prominently on the front is Acura’s controversial “Power Plenum” upper grille. The size of the car has increased slightly as a consequence, and the wheelbase has been stretched 1.4 inches (36 mm) to 109.3 inches (2,780 mm). The car is also 6.2 inches (160 mm) longer overall, 1.8 inches (46 mm) wider and 0.5-inch (13 mm) taller. Rear legroom improves by 1.3 inches (33 mm) and rear shoulder room increases by 0.5-inch (13 mm). The all-new package also improves structural rigidity significantly, thanks in part to the use of high-strength steel in 47.6 percent of the chassis. 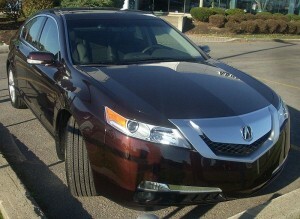 As before, the 2009 Acura TL continues to provide an extensive list of electronic convenience items, now including a central multifunction display, an eight-speaker 276-watt audio system with a six-disc CD changer, XM Satellite Radio, USB port connectivity (including full iPod control support), and Bluetooth Audio.